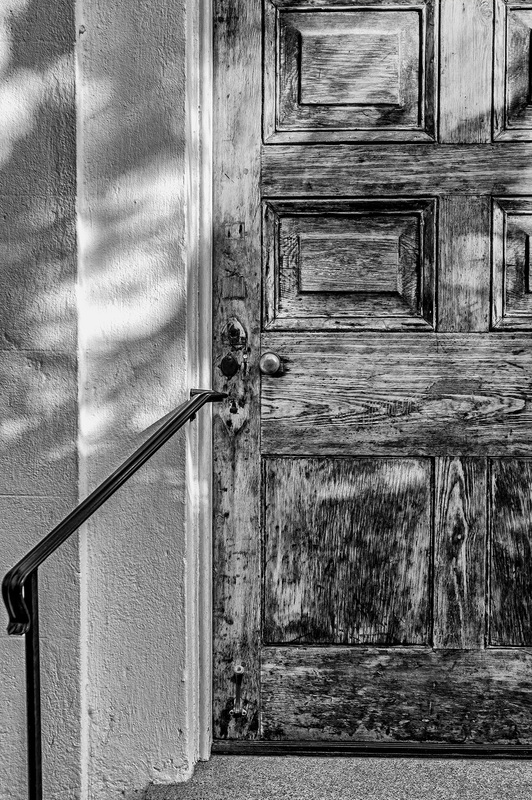 Between the dappled light and the wood grain on the church door I couldn’t help but to take this shot. But it was kind of a let down after I took it. I didn’t want to simply shoot the whole door and I thought the railing would help balance out the composition. I think it helps but what it’s helping, I don’t know. Any thoughts? Suggestions?